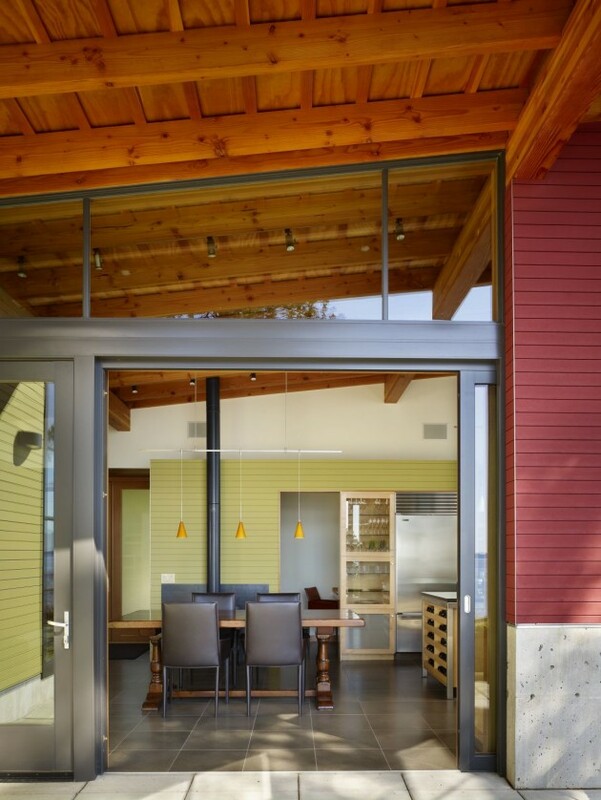 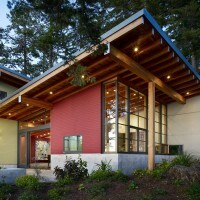 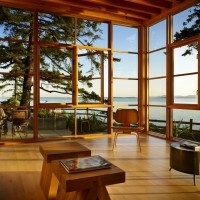 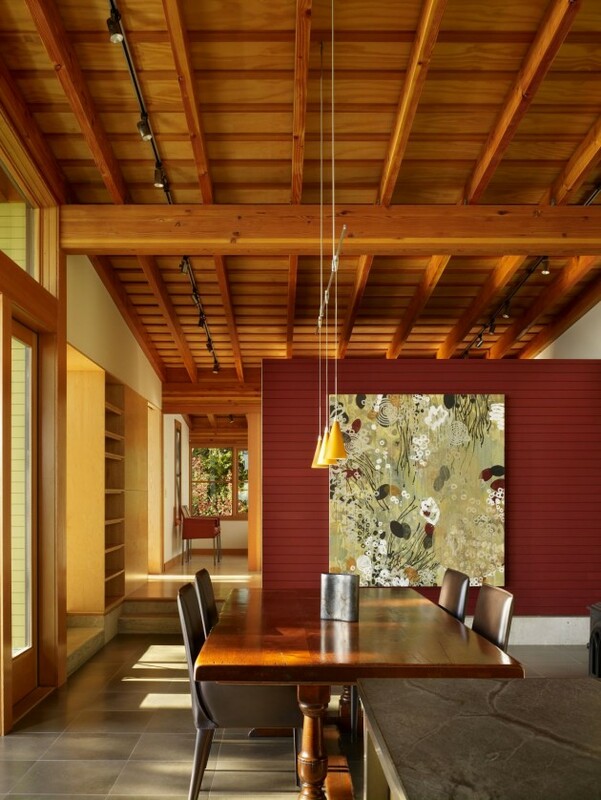 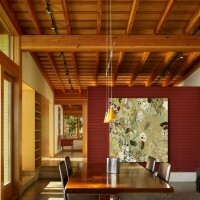 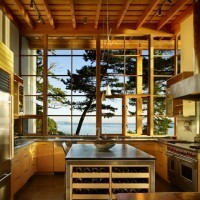 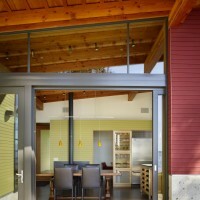 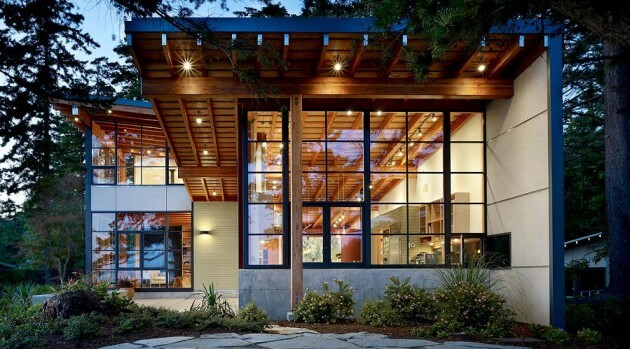 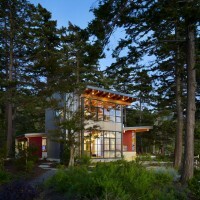 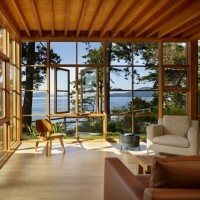 Miller Hull designed the Davis Residence in Bellingham, Washington. 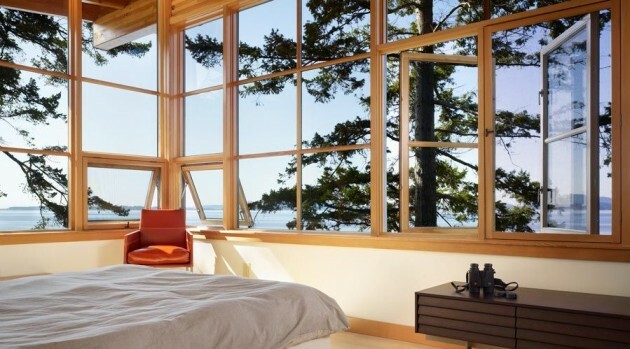 This 1400 sq. 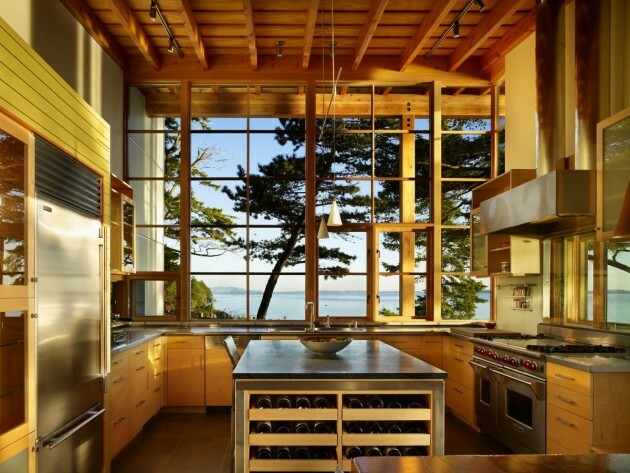 ft main house and guest house/garage is located on a heavily wooded cliff site with views of the San Juan Islands of Washington State. 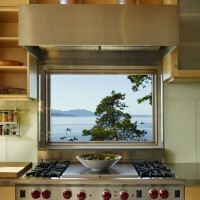 The plan orients to major views south down the coast line and west out to the islands while being careful to stay outside of the drip line of the dominant Doug fir trees. 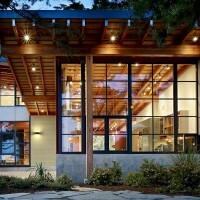 Large overhangs protect glazing and provide shelter. 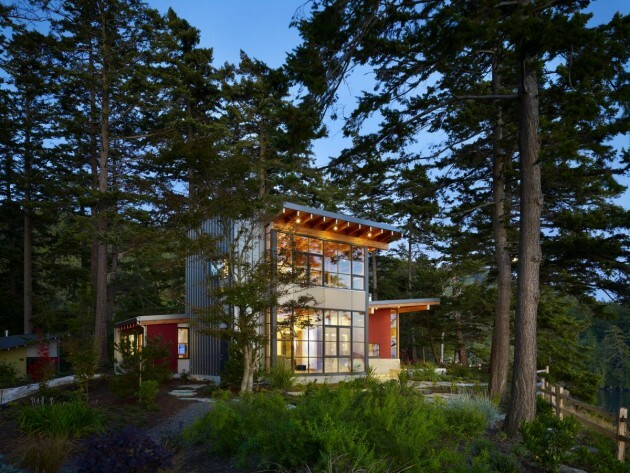 The concept marries a long gently sloping roof form containing the kitchen, entry and studio with a vertical tower containing the living room and master bedroom above. 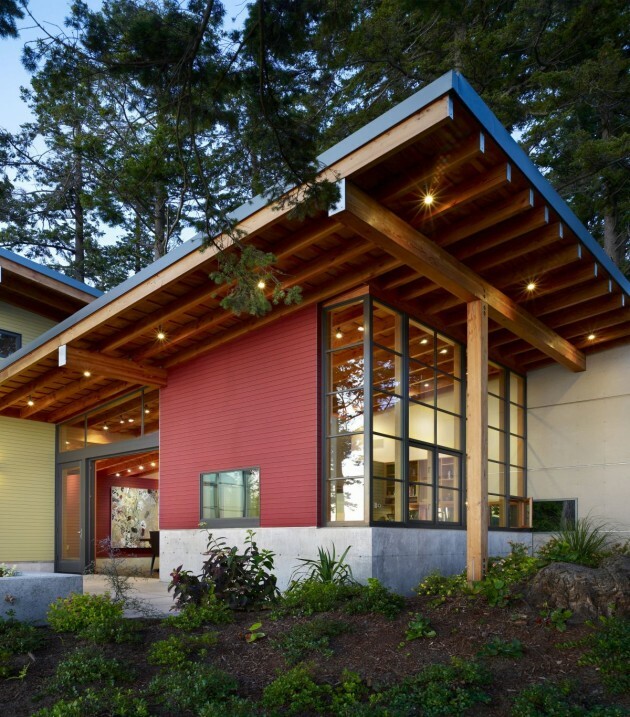 The roof forms express their timber construction with exposed joist, 1×4 skip sheathing and plywood diaphragms. 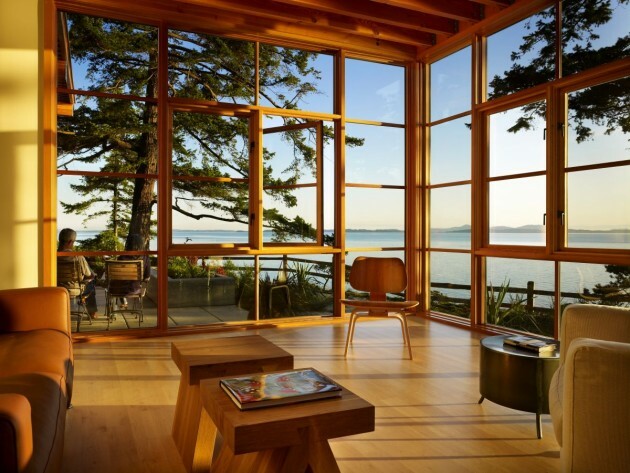 The high performance wood fir windows provide thermal breaks while being strong enough for the mullions to be of minimal dimension. 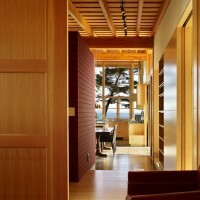 Wood T&G paneling is stained in bold transparent colors.